​Nicole graduated with a bachelor’s degree from the University of South Dakota in 2002. During college she was a double major in English and Criminal Justice. Nicole was active in campus life in Vermillion and participated in several organizations, including Kappa Alpha Theta and Mortar Board National Honor Society. ​Nicole received her Juris Doctor from the University of South Dakota School of Law in 2006. While in law school, Nicole excelled academically and served as both a staff writer and Lead Articles Editor of the South Dakota Law Review. She is the author of two published law review articles. Nicole was the recipient of numerous scholarships over her academic career. ​After law school Nicole was chosen as Law Clerk for the Third Judicial Circuit of South Dakota. As a law clerk Nicole was responsible for providing research, writing and courtroom support for the judges of the Third Circuit. Nicole worked with judges in Madison, Brookings, Watertown and Huron. ​After clerking Nicole was hired by the Minnehaha County Public Defender’s office. Nicole gained a wealth of experience by spending countless hours in the courtroom over five and a half years as a Senior Public Defender. 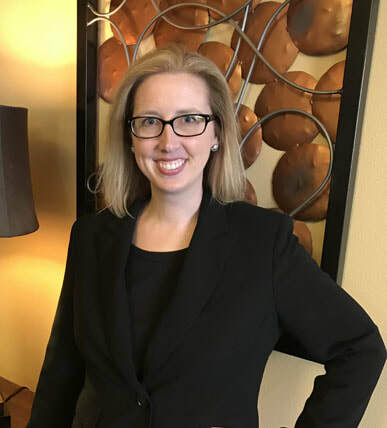 Nicole was eventually designated as the appellate attorney, which allowed her to focus primarily on appeals to the South Dakota Supreme Court. In January of 2013, with the support and encouragement of numerous colleagues, family and friends, Nicole opened Laughlin Law. Today Nicole represents a diverse clientele in an array of cases. The philosophy of Laughlin Law is to provide compassionate and personalized representation to every client, while working to achieve the best possible outcome in each case. Identity Crisis: An Examination of Federal Infringement on Tribal Autonomy to Determine Membership, Hamline Law Review Volume 30, Issue 1 (2007). Lethal Decisions: Examining the Role of Prosecutorial Discretion in Capital Cases in South Dakota and the Federal Justice System, South Dakota Law Review Vol. 50, Issue 3 (2005).